Is it Good? 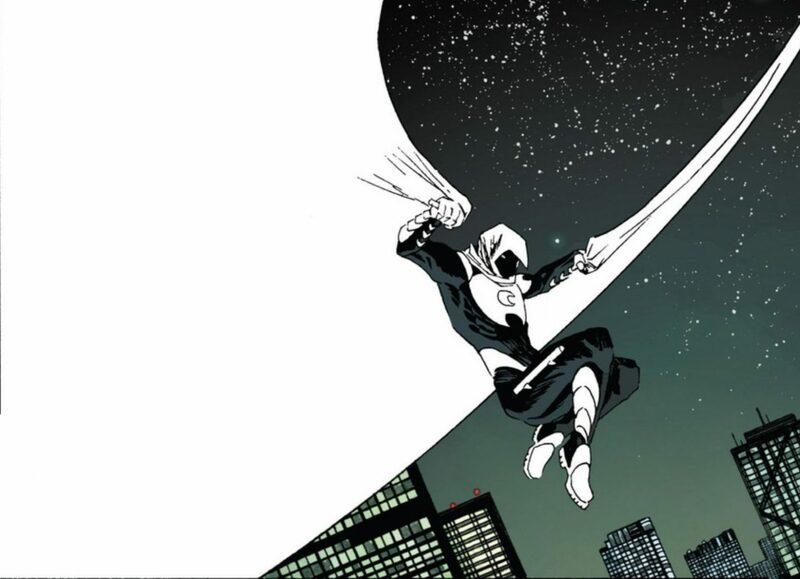 Moon Knight #2 Review – AiPT! When a superhero gets a new costume, writer and artist you expect the direction of things to go down a very new and exciting road. So, I was surprised to open issue #2 and see something like the older costume back and a completely different direction for the character. Of all the issues on the stands today this one might be the one most in need of a proper review, so is it good? The gears completely change from last issue and while it’s not such a bad switch it is jarring. That’s because the last issue introduced a fast talking detective Moon Knight who wore a suit and solved crimes through wit rather than fists. Then this issue drops and we’re back to the usual superhero swinging through cityscapes, punching bad guys in the teeth. Still, writer Warren Ellis sets this issue apart from anything that’s come before it because it takes some chances narratively speaking and is also highly visually driven. Be warned, this issue is a quick read. The first 10 pages also have nothing to do with Moon Knight, but rather focus on the victims of the bad guy. There’s a sniper on the loose and those first 10 pages follow the sniper’s targets. Done by a lesser artist this could have been a frustrating first 10 pages, but Declan Shalvey owns it on the layouts and art. Using an eight panel layout, Shalvey shows each of the targets in their own box. This is intercut with white boxes and simple text of the sniper as he explains why they must die. It’s a very dramatic 10 pages and it’s very cool how Ellis slowly makes these targets human, then slowly disconnects them from this mortal coil. Again though, be warned, for a 20 page comic to spend half its time without the title character is a bit odd and how the story is told makes this a very quick 10 pages. If you’ve been reading comics for a while you’ll be floored by the unconventional storytelling. The remaining ten pages follow Moon Knight as he takes down the sniper. Again, Ellis completely goes off what he showed us in issue #1 by using minimal dialogue. It makes me wonder if he’s showing us there are two sides to the hero. There’s the fast talking detective on the street level and when he’s in full costume he’s bashing heads and barely speaks a word. It’s a cool concept and should work as long as he follows through with both types from time to time. It’s just jarring considering the direction seemed to be against the superhero type last issue. Which brings us back to Shalvey, who does an exceptional job here. Really this script is resting on his shoulders to pull off because there’s no dialogue to speak of, but of course it could be that Ellis drew out sketches. Who knows. But what we do know is that, despite the quick readability, he’s done quite a good job pacing the action sequence and that’s not easy to do. Very well done. The pacing is exceptional and should keep you on the edge of your seat like a nice thriller. The cinematic nature of the story helps too and it’s very much like a done in one episode of your favorite TV show.